Did you know that more than a quarter of worldwide book sales consist of e-books? With devices like tablets and Kindle, it’s no wonder, either. It’s easier than ever to start reading your favorite books on the go. This also means that there’s more potential profit for you as an e-book publisher. I’ve been writing and selling books on Amazon’s KDP platform for a few years now. I’m no Steven King, but I’ve learned a thing or two that I’d love to share with you. The biggest thing that changed my book sales was promotion. 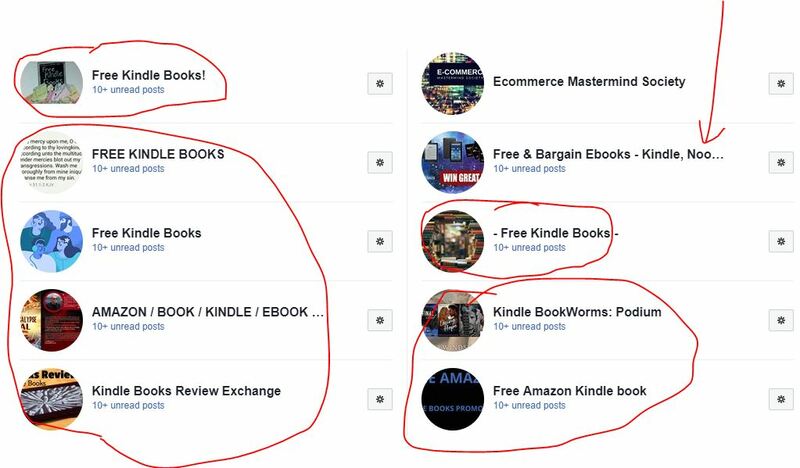 Having an ebook promotion strategy is crucial for your success as a self published author. You can upload your books and wait, but proper promotional techniques will get you downloads and sales immediately. 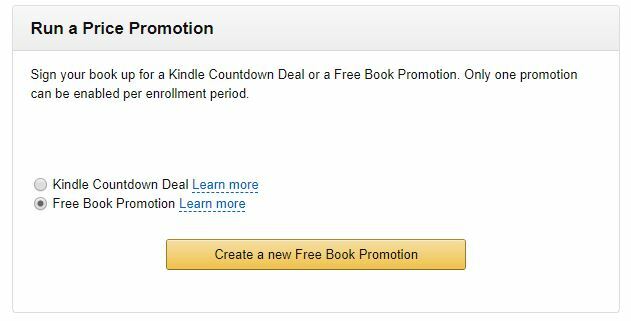 Keep reading if you’d like to learn how to promote your Kindle book for free. Is Amazon KDP worth it? 330 million people use Reddit. If you’ve ever been on the website, you know that there’s a sub-reddit for everything. But, in our case, we’re looking for the self publishing related sections of the website to promote our book. 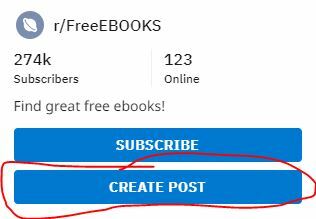 I’ve gotten upwards to one thousand downloads in a single day from promoting my Kindle books on Reddit. It remains at the core of my Amazon book promotion plan. You need to have an active free promotion for most of these sub-reddits to accept your work. Visit your KDP dashboard and select the promote and advertise button. Then under “Run a Price Promotion”, click the option for the free promotion. You can make your book free for up to five days every 90 days. I’ve heard many people claim that more than three days won’t produce great results, and I have to agree. Typically after the third day, downloads heavily drop. In my personal experience, weekends are a great time to promote your book for free, too. But, test these strategies out for yourself to find the best results. It’s different for every category and audience. Hit that save button and you’re good to go! Sign up for an account if you haven’t already and submit your book by creating a now post from the right sidebar. Every sub-reddit has their own unique set of rules that you need to follow. These include things like including the genre, author’s name, promotional date, etc. After you’ve done this, let’s head over to Facebook. 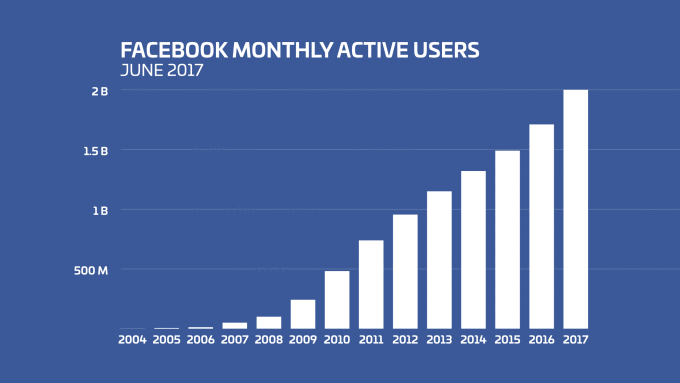 There are literally billions of active users on Facebook every month. And just like Reddit, there are groups you can find that are specifically about sharing Kindle books. Just look at some of the groups I’m in myself. Imagine posting to these every time you published a book. You’d generate so much more downloads and sales. To join these groups, you’ll obviously need a Facebook account. Go ahead and sign up if you need to. Then, type Kindle and KDP related keywords into the top search bar. 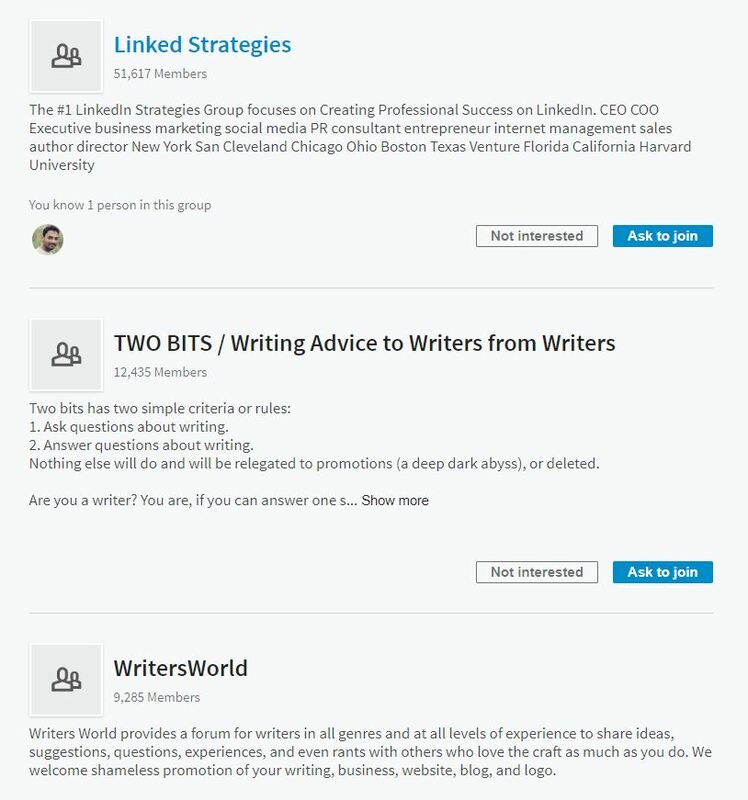 Select “Groups” from the navigation and it will display every group related to self publishing. Join as many as you want, there’s no limit. Some will approve you automatically and others will require verification. Post in these groups once you are approved. The key is to stay active and join in on conversations. Some groups may remove you if you are only spamming your book or promotions. Be a productive member and you’ll be rewarded. Do you publish non-fiction? If so, the next strategy is for you. 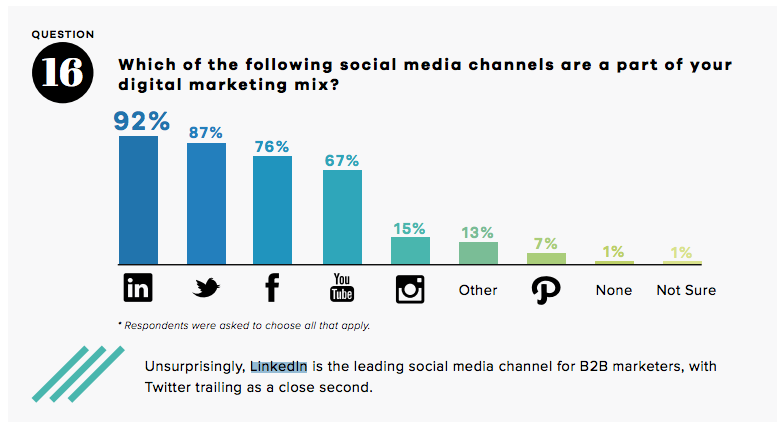 It should be no surprise that Linkedin is the most used platform for marketers. It’s a hub for professionals, writers, entrepreneurs, and career oriented individuals. Sign up for a Linkedin account if you haven’t already. Take the time to make an impressive profile. Include your experience as a writer, a high quality photo, and a catchy headline. Then under the “Work” drop-down menu, select “Groups”. 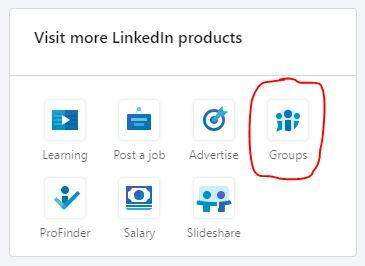 It will display groups based on your profile, but you can also use the Linkedin search bar to find specific ones. Ask to join as many as you like. The more, the merrier! Like I said with Facebook groups, the idea is to be a productive member of the group to establish a solid reputation. 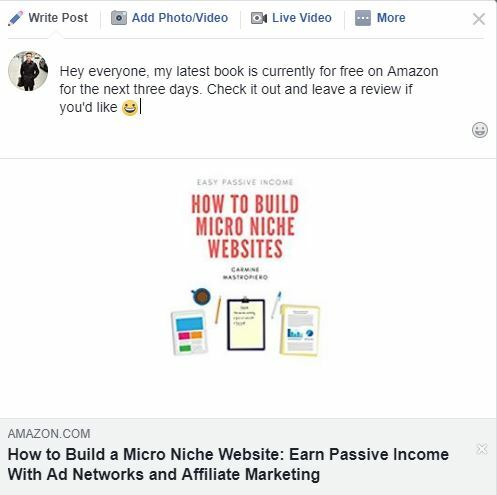 More users will check out your book and trust you if you do this. When you would like to share your writing, simply drop a link and ask people to leave feedback. Now, let’s move onto the last strategy for promoting KDP books. 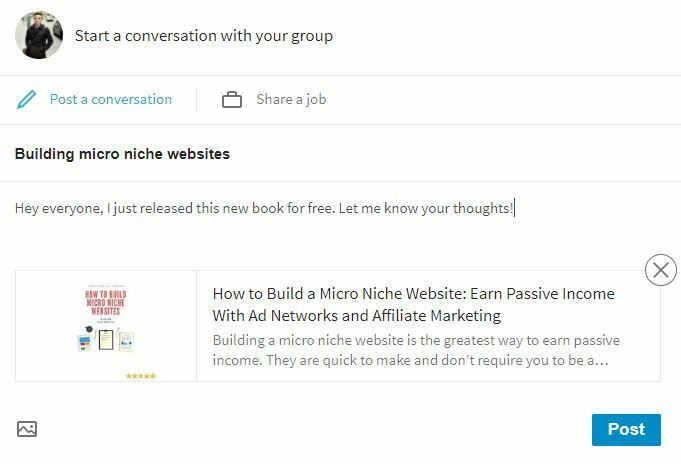 You’ve shared your books on Reddit, Facebook, and Linkedin, what’s next? These are sites that allow you to submit your work to get it in front of a huge email list or social media following. Sure, there are paid websites if you don’t mind investing about $50, but a lot of them won’t charge you a penny. Inkitt is one of them. Not only will they get your book to thousands of readers, they will even offer a publishing deal if it’s liked enough. Not too shabby. Inkitt is specifically for novels, but there are others that will accept any genre or niche specific categories. Research a ton of these websites and store all of their URLs in a spreadsheet. When you go to promote your latest book, submit it to all of them. You’re bound to get one or two that accepts your submission. I’ve been self publishing exclusively through Amazon’s program for several years now. If you’re wondering whether it’s worth it or not to sell your books through them, here’s my answer. And if Snoop Dogg’s nod doesn’t hint to what I’m saying, then yes — KDP is well worth it. First of all, it’s free. You can’t beat that. Signing up is quick and the platform itself is easy to use. Amazon guides you step by step through publishing, choosing a royalty rate, and everything in between. Books are usually approved within a few hours and they even give you a ton of resources to format it perfectly. Book promotion is easy and self publishing is a great way to earn passive income, but you need to market yourself. Begin by visiting all of the sub-reddits I mentioned in the first section and submitting your book. There’s probably more popping up, so take a look at the sidebar or search for others. 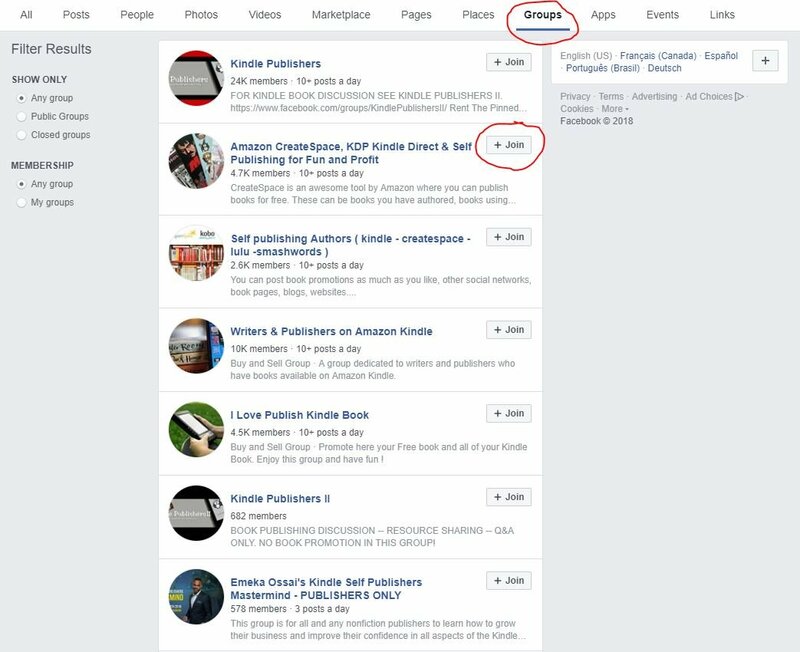 Join Facebook and Linkedin groups to post your book while it’s on a free promotion, too. Those three strategies alone would get me up to one thousand downloads per day. Lastly, narrow down some free promotional websites and offer your book to them. Some require it to be free or a certain price, so do your due diligence. I summed up all of this in a video, so check that out and subscribe if you’d like to learn similar things in the future.